Some people talk a good game but we prefer to play one. We can officially be described as veterans of the classic car rally scene with dozens of competitions under our belts alongside decades of experience. We don't like to see dust gather on the chrome of an E-type or a 911’s unused and deflated set of tyres. We don't think a car that benefits and thrives on the road and track should be kept locked away with one eye on the market and two fingers crossed for appreciation. Whatever your classic of choice we think you should get out there and get involved in a classic car rally. In recent years our choice of driving tipple has been a 60’s Ferrari 275 GTB/4. The Ferrari 275 was designed for the road and although it is fast on the straight sections on the tracks, the road is exactly where it shines. 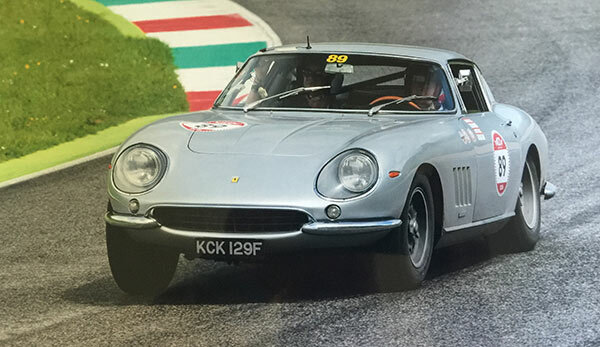 So what could be more idyllic than driving a 60's Ferrari from Rome, through the rolling Tuscan hills and ending in Enzo Ferrari's hometown of Modena as we did on the Cento Ore in 2015 and 2016. Fresh from participation on this year's Tour Auto in April in France, we are busy preparing our 4-Cam for this year's Modena Cento Ore in Italy - which will be held this month and will be particularly poignant as it celebrates Ferrari's 70th year building the most thrilling road and racecars. If you have never been before, we suggest you get involved! We have extensive experience of event participation and if one of our classics on offer inspires you for a memorable driving tour - we would be delighted to advise you on how to get the best out of your classic. Here's a promo film of the event we are preparing for this month. We might even organise our go-pro this year so you can share the real return on classic car ownership - driving!